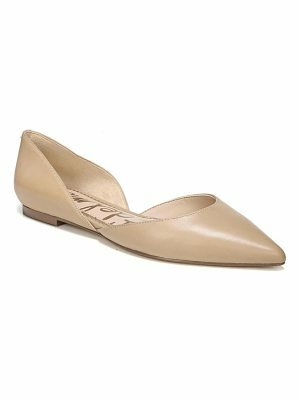 Bow cutouts and a gilded, logo-etched heel add signature flair to a pointy-toe flat polished with bow hardware. 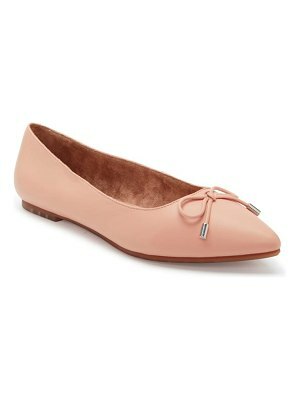 Style Name: Ted Baker London Dabih Cutout Pointy Toe Flat (Women). Style Number: 5423078. Available in stores.